Fresh delivery for Spring 2019. This is the perfect spring and autumn wetsuit. A stretchy, neoprene-free wetsuit, the R3™ Yulex™ Front-Zip Full Suit is made of 85% Yulex™ natural rubber/15% synthetic rubber by polymer content; the natural rubber is derived from sources that are Forest Stewardship Council® certified by the Rainforest Alliance. Made in a Fair Trade Certified™ facility. 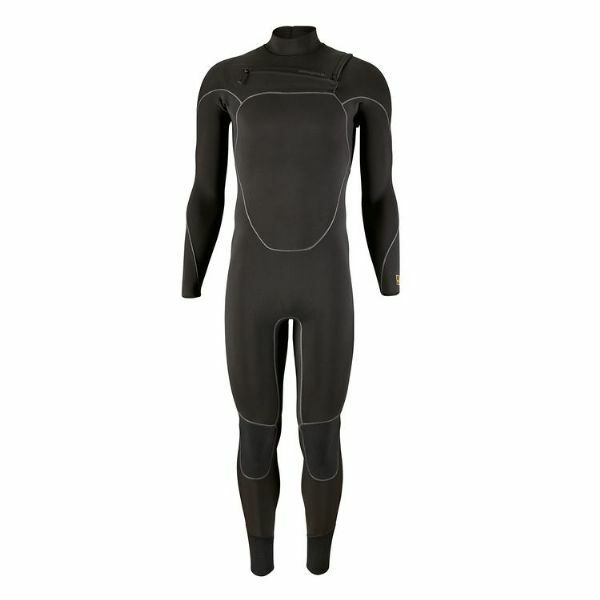 Suggested water temperatures: 48–55° F/9–13° C.
Torso/thighs: 4.5mm 85% Yulex™ natural rubber/15% synthetic rubber by polymer content, lined with 95% polyester (51% recycled)/5% elastane inverted microgrid. Arms/legs: 3.5mm 85% Yulex™ natural rubber/15% synthetic rubber by polymer content, lined with high-stretch 100% recycled polyester jersey. Exterior face: 85% recycled polyester/15% elastane.